If you have found your own trailer I offer a full range of transportation options & solutions in the USA to get your vintage trailer to the UK and….. 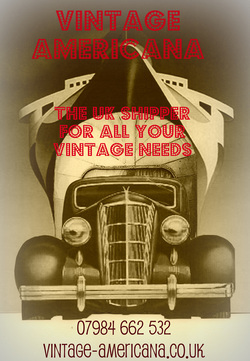 I can also ship cars, boats and rv’s from or to the USA.. I offer door to door or port and port to port services with competitive quotes. I know the ropes and import myself, so the right pieces of paper at the right time are second nature now. There are several ways this can be achieved depending on your units size and condition. The pitfalls are many and knowing what to say to who can often save your sanity and money. Often it can be just because we know the rules and regulations. The more information I have- the more accurate the quote will be. 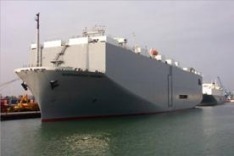 The units are measured on arrival at port, extra shipping fees are levied if the unit is larger than specified. For a travel trailer or vehicle I need to know if it is roadworthy. Has the running gear, brakes & lights been checked, are they fully functional? It does not matter if they aren’t … I just need to know so that the correct pick up arrangements can be made and quoted for. The United States of America is more than 3000 miles wide as the crow flies So a zip code is always useful! Please also read the FAQ’s section for more details on the process. The service I offer is based on a pre-paid system to keep costs down.